When Laura Ricciardi and Moira Demos started production 10 years ago on what would become Making A Murderer, they probably weren’t expecting their documentary to become the runaway hit it is today. 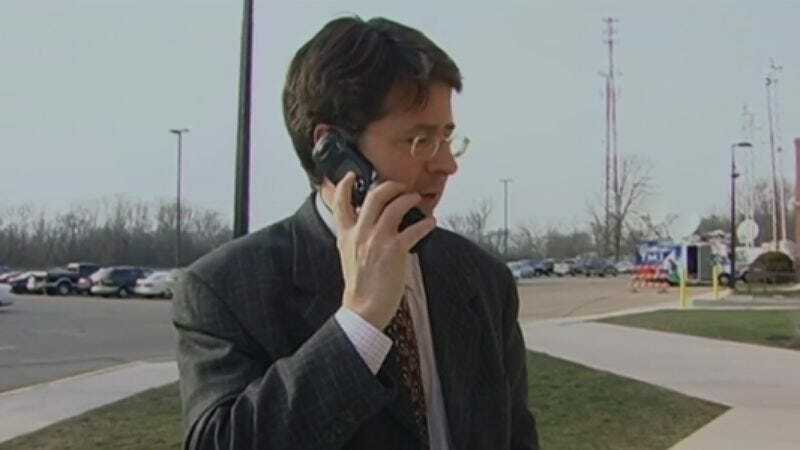 They certainly weren’t expecting to turn Dean Strang, Steven Avery’s lead defense attorney, into a fashion icon and Tumblr hero. And yet, Strang’s style, or aggressive lack thereof, in the series has become the subject of a Tumblr called StrangCore. The Tumblr shows Strang as the platonic ideal of the normcore anti-fashion movement. Whether he’s wearing a boxy suit to talk to the press, tucking his plaid shirt into light denim on the way to the car, or going over the details of the case in a cable knit sweater and wire frame glasses, Strang is constantly showing 2016’s hipsters how they really did it just after the turn of the millennium. Now, normcore enthusiasts and Strang fans have a handy reference they can look at when hitting the thrift stores to try to make themselves look like midwestern attorneys circa George W. Bush’s first term.